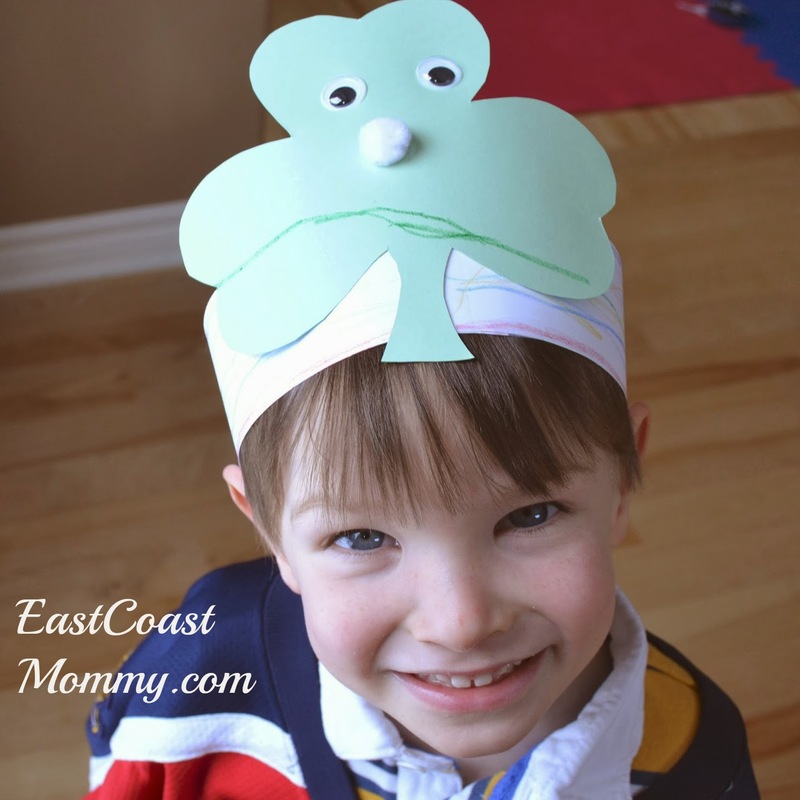 With St. Patrick's Day just around the corner, I thought I would share a fun and festive St. Patrick's Day craft with you. This festive hat is great to make with little ones -- it is simple enough for Preschoolers, but older kids will enjoy it too. 1) Gather your supplies (which you probably already have lying around your house)… white and green cardstock, scissors, glue, tape, crayons, googly eyes, and something for the nose (e.g. a penny, a pom pom or a button). 2) Make a headband by cutting two or three strips of white cardstock about 2 inches thick. Have the child color a “rainbow” onto the strips. 3) Fit the strips to the child’s head and use tape or a stapler to secure it into the shape of a headband. 5) Make a face on the shamrock using a crayon, googly eyes, and a penny, pom pom or button. 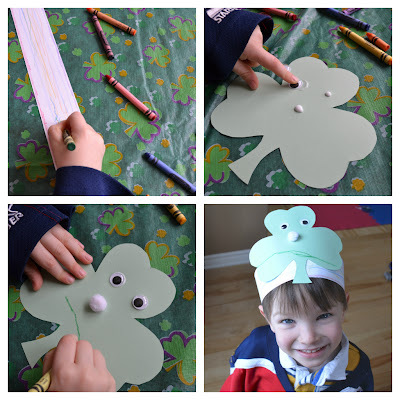 6) Tape the decorated shamrock onto the front of the headband. Happy St. Patrick’s Day! I hope it is a lucky day for you and your family. Super cute! Looks like you had fun.